On its own, paperwork never saved anyone. It is a means to an end, not an end in itself - action is what protects people. So risk assessments should be fit for purpose and acted upon. OK, if you're running an oil refinery you're going to need a fair amount of paperwork. But for most, bullet points work very well indeed. 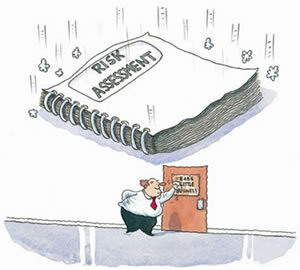 See what we mean - check out our example risk assessments.